By 1970, weary and wary of the fame game in Los Angeles with the trappings of “the star-maker machinery” surrounding him at every turn, ex-Byrds songwriter and singer Gene Clark was looking for a refuge. 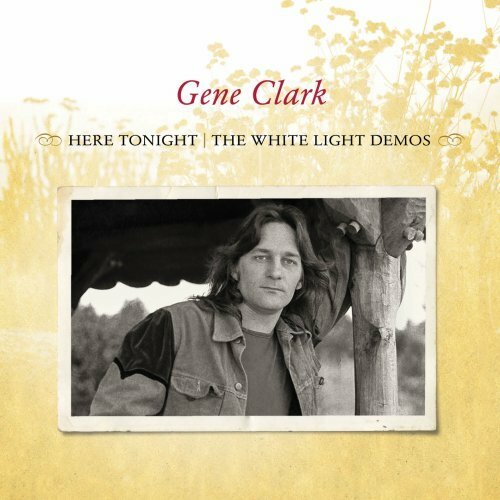 Omnivore Recordings has released Clark’s Here Tonight: The White Light Demos, a glimpse into the songwriting craft of Clark at the inception of the compositions that would become his first ’70s solo album, White Light, for A&M Records, released in August of 1971. Of the tracks on this 12-song album, six (White Light, For a Spanish Guitar, Where My Love Lies Asleep, The Virgin, Because of You and With Tomorrow) appeared in final form on White Light. Two (Opening Day and Winter In) appeared in final form as bonus tracks on the 2002 A&M/Universal reissue of the album. One track (Here Tonight) is an alternate version of a song that appeared on the Flying Burrito Brothers compilation Honky Tonk Heroes. And three songs (For No One, Please Mr. Freud and Jimmy Christ) have never been issued previously in any form. Liner notes are by John Einarson, author of Mr. Tambourine Man: The Life and Legacy of Gene Clark (Backbeat Books, 2005). The collection is being reissued with the full cooperation of the estate of Gene Clark. Precipitating Clark’s move to a secluded life in Northern California, events of the prior four years had elevated the reclusive Kansas-raised boy to the top of the rock ’n’ roll pantheon. The Byrds had topped the charts with their 1965 debut single, Mr. Tambourine Man and followed it with a string of folk- and country-influenced songs, many of them from Clark’s own pen. With a little help from Bob Dylan, the Byrds gave rock a literary sensibility. In his own songwriting, Clark had come to embrace the Dylan style of oblique lyric poetry and accrued considerable attention for his songs, to the chagrin of his band mates. Fissures in the band hierarchy ensued. With his sudden departure from the Byrds in 1966, Clark withdrew from the public eye. His attempt at a solo career later that year was hampered by a reluctance to tour or fly (earning him the title of “the Byrd who wouldn’t fly”). 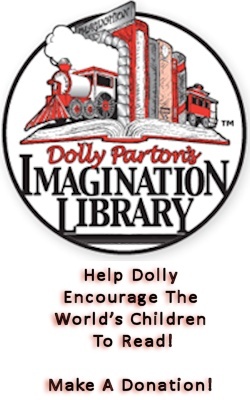 Teaming up with banjo demon Doug Dillard in 1968, the Fantastic Expedition of Dillard & Clark recorded two trail-blazing country-rock bluegrass band around Gene’s well-crafted songs. By early 1970, he left the band, left L.A. for the open spaces of Little River, Calif., near Mendocino, accompanied by his girlfriend Carlie McCummings. The two were equally captivated by the tiny seaside community and were married in June of that year. Away from the pressure of the music business and inspired by the pastoral beauty of the area, Clark began to write songs that took on a reflective, introspective direction. His songs became more folky and stripped down as Clark swore he’d never again play electric guitar. “There was no deadline,” says McCumming. “He wasn’t under any pressure. And as a result, the songs just flowed out of him. The lyrics were so pure. They don’t come out of any manufactured experience.” Clark also began exploring the nature of spirituality and the human condition in his lyrics, inspired by friend Philip O’Leno. At the end of the Dillard & Clark partnership, Gene owed A&M Records two additional albums. Company co-founder Jerry Moss himself paid Gene a visit in Little River and managed to entice him and Carlie back to L.A. to record. Jesse Ed Davis, with whom Gene had struck up a friendship during the Dillard & Clark sessions, was enlisted to produce. Clark first recorded the songs meant for the White Light album in demo form on acoustic guitar. It’s these demos, lost for decades and recently discovered, that comprise Here Tonight: The White Light Demos with the songs presented as Clark had originally conceived them in his Mendocino Coast cabin. “His voice was absolutely perfect at that point,” notes Carlie. Included are songs that would later appear on the A&M debut, as well as several that failed to make the cut. 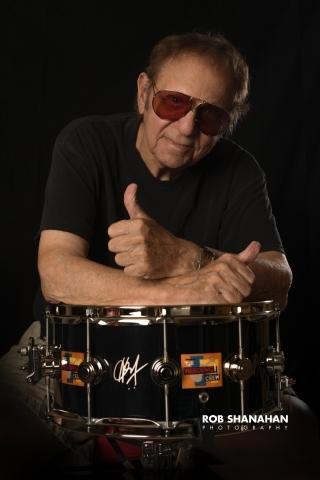 Jesse Ed Davis maintained much of the simplicity and honesty of the demos in producing the finished album.Rolling Stone drew comparisons to Clark’s mentor Bob Dylan. It was voted “album of the year” in the Netherlands, whereupon Clark boarded a rare airplane to tour internationally. Sadly sales were slim. Clark returned to Northern California to write the next album at his own pace. Eventually he returned to L.A. to sustain his career. The rigors of the road eventually tore his marriage apart, leading to a tailspin of alcohol, drugs and death in 1991. He was 46.